As a concentrator in Archaeology here at Brown, I am also a member of the Engaged Scholars Program. I’ve recently been thinking a lot about the nature of engaged scholarship and my relationship with it. I wanted to summarize and comment on three seemingly disparate strands of engaged scholarship that I’ve recently come across: the more traditional idea of service learning; Antonio Gramsci’s concept of the “organic intellectual”; and Cornel West’s more recent evolution of this idea, as demonstrated through an essay on Martin Luther King, Jr. I end by drawing together these three thinkers and articulating a critique of dominant understandings of engaged scholarship. This semester, I am in SOC 0310: Theory and Practice of Engaged Scholarship (with Allen Hance and Lynsey Ford). We’ve been talking a lot about what engaged scholarship means for the program, particularly as an evolution of “service learning.” The traditional idea was that students gain valuable skills and experiences through direct service. More recently, Tania Mitchell has encapsulated a trend away from this idea towards a kind of “critical service-learning,” which emphasizes the importance of critical reflection as a way of addressing structural and systemic issues that underlie the most apparent problems. Brown offers a number of courses that fit within this philosophy, and has recently approved the introduction of a course designation in Community-Based Learning and Research (CBLR). Indeed, I would argue that the idea of service learning (mostly in its critical form) is at the heart of engaged scholarship as the Swearer Center currently understands it. Other definitions abound. For example, as used by New England Resource Center for Higher Education, engaged scholarship focuses on the role of faculty “in a reciprocal partnership with the community, is interdisciplinary, and integrates faculty roles of teaching, research, and service.” This definition (focused on faculty) has greater ambit than the idea of service learning, which is focused on student experience. I feel that this difference points at the crux of the issue with engaged scholarship as it is currently understood — more on this later. I’ve recently been exposed to a very different approach to engaged scholarship: Antonio Gramsci’s idea of the “organic intellectual.” This semester, I am also taking ARCH 2102: Postcolonial Matters: Material Culture between Colonialism and Globalization (with Peter van Dommelen). Our first two sessions of this seminar have been devoted to postcolonial theory. Last week in particular was spent in a deep dive into the work of Antonio Gramsci, the Italian philosopher and politician of the early twentieth century. As a (Marxist) political activist himself, Gramsci embodied the relationship between praxis and theory, all the while carefully sidestepping the traps of romanticism, nostalgia, and “re-enchantment.” For Gramsci, the “traditional and vulgarized type of the intellectual is given by the man of letters, the philosopher, the artist” (Q12§3) while the organic intellectual “reveals and thinks through the very historical links and relations of force that the traditional intellectual function works to make invisible” (to quote from an accessible and entertaining Tumblr post). 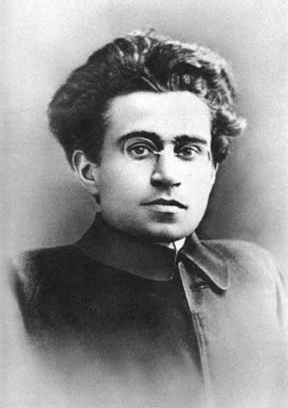 Gramsci describes a second crucial characteristic of the organic intellectual: “every social group coming into existence on the primal basis of an essential function in the world of economic production creates together with itself, organically, a rank or several ranks of intellectuals, who give it homogeneity and a consciousness of its own function in the economic sphere” (Q4§49). In short, organic intellectuals are engaged scholars because they are rooted in their particular social groups while pushing against the invisible bounds inherent in being a mainstream intellectual. Martin Luther King, Jr., was the most significant and successful organic intellectual in American history. Never before in our past has a figure outside of elected public office linked the life of the mind to social change with such moral persuasiveness and political effectiveness. A few distinctive traits of West’s conception of the organic intellectual can be teased out through this essay.1 Religion is central. In the case of MLK, of his four essential constitutive influences three are religious: the black church tradition, liberal Christianity, and American civil religion (the other source is the Gandhian method of nonviolence). In line with Gramsci’s idea that the intellectual emerges organically from his social group, West argues that the “black church’s influence on King’s views is the most primordial and decisive source of his thought.” West’s most distinctive contribution to the concept of the organic intellectual is his emphasis on the prophetic. What does West mean by this? An answer can be gleaned from King’s opinions on Marx, which (in West’s interpretation) were “neither a knee-jerk negative reaction … nor an uncritical acceptance of Marx’s atheism, which overlooked the contribution of prophetic religious people to struggles for freedom.” A prophetic intellectual for West “courageously fused the life of the mind with the struggle for justice without paying heed to social standing, career advancement, or intellectual fashions” (to quote from Gary Dorrien’s article on West, “Imagining Social Justice”). Like Gramsci’s idea of the organic intellectual, West’s idea is an important complement to the kinds of service learning and engaged scholarship that mostly emerge from the social sciences (as exemplified by Tania Mitchell and her predecessors). I think that engaged scholarship — as practised at the Swearer Center and on many campuses around the US and beyond — is successful at challenging, blurring, and transcending the boundary between academics and activism. This is exemplified by the integration of community-engaged experiences into student learning and by the emphasis on community engagement by faculty. Yet this kind of engaged scholarship does not go far enough in challenging the binary between scholarship and learning. It maintains a sharp distinction between the teacher, who does engaged scholarship, and the student, who engages in service learning. This has serious consequences for the kinds of activities that are considered “engaged.” Furthermore, it ignores the fact that — as argued by the archaeologist and Brown professor Yannis Hamilakis — “pedagogy, rather than being a passive process of delivery, is part of the ﬁeld of cultural politics, a contested domain, a public sphere where knowledges, views and perceptions on the past and the present are debated and contested, or valorized, reproduced and legitimized.” Traditional ideas of engaged scholarship and service learning disregard and thus fail to critique the complex and constant interaction between scholarship and pedagogy. We must transcend this dichotomy in order to embrace truly critical (and ultimately beneficial) forms of community engagement. What kind of projects are “engaged”? How do we best meet the needs of communities? The answers to these questions should be informed not just by integrating community engagement with scholarship but also by critiquing the idea of scholarship itself. My thinking has been indelibly influenced by Andre Willis, the inimitable professor of Religious Studies and co-instructor (with Nancy Khalek) of this semester’s RELS 0835: Edward Said and Cornel West.